With 4,000 years of people living in Tampa on this cruise, you will learn about how this this city grew from a Spanish outpost to the fastest growing city in Florida. This tour takes you step by step through the evolution of the city and as you cruise along the waters, the history unfolds all around you. Your guides will divulge little known facts about this city and share them with you. 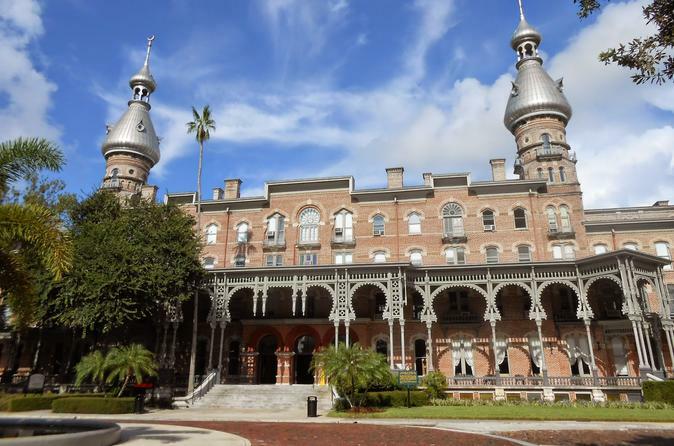 Many locals have said "I have lived here all my life and never knew that about Tampa!" When you leave this tour, you will know more than locals! Learn more than you image possible about Pirates and their history in Tampa. See the Pirate ship “Gabriella” up close and be sure to ask your guide "what's a Pirate beard in Tampa?" You will be surprised at the answer!